The Authentic Utilitarian denim brand – Petrol, opens its door in Manila as it brings in stylish RTW apparel that binds impressive and unpredictable fashion concepts with its functional approach. As a brand of Power, Utility, and Functionality that Fuels the high spirited, daring, and rip-roaring lifestyle of the next generation, the brand stands for more than just a clothing name but rather a lifestyle fit for self-empowered individuals. Standing by its dynamic consumer market of confident and independent individuals, the muscle car inspired clothing brand lives by the philosophy of self-expression through quality apparel and a liberating brand philosophy. 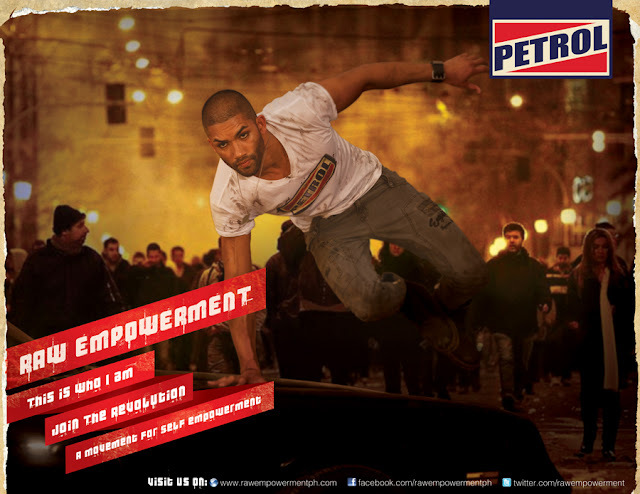 With Self Empowerment comes with one’s Raw Empowerment, Petrol’s season campaign aims to spread the advocacy of garnering enough strength to be one’s true self. The story takes place in a city where the stereotypes of society have taken its toll in dictating what is acceptable and what is not. Through time, it had consumed the city until there were two individuals who decided that they had enough. Surged by willingness to change and break free, they started a revolution by bringing their advocacy to the different parts of the city. 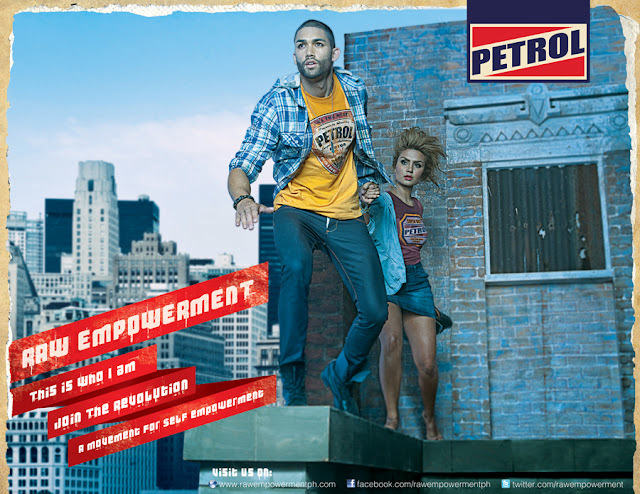 With the Raw Empowerment revolution storming the country, Petrol tied together its Power products that created its season’s collection. Fall/ Winter 2012 is all about the Dirty New Age. Inspired by the passion of restoring classics muscle cars and injecting modern ideas, Petrol goes hand-in-hand with the story of stains and tattered jeans that went through the chaos of the revolution. Similar to a Camaro’s all power motor, the brand reinforces pride and confidence to its wearer by highlighting the success of heavy labor work. With new shades of denim that contains rust, grease and dirt details that bind with the classic colors of its vintage feel, Petrol clearly depicts the story of the revolution and its members who desire to stand out and be themselves. Petrol dares each individual to dive in and take a step forward to individualism. Check out the Petrol Fall/ Winter 2012 collection in all Petrol stores.